The slated individual for President Elect 2019-2020 has been identified – Judy Garfinkel. This opens up the position of Virtual Meeting Management Chair. If you have some ease with technology and would like to develop your skill with Zoom, this is a good board position for you. You will have the opportunity to work closely with the chair of in-person meeting management and be a greeter at meetings as well as the tech facilitator for chapter webinars. This role is not overly demanding and will allow you to get to know members and participate in decisions regarding ICF-CT. If you’re interested, or have someone to recommend for Virtual Meeting Management Chair, send an email to secretary@icf-ct.org. The board members who currently hold these positions are available to help you learn about the position, as well as mentor you when you join the board. We plan for an overlap of at least 6 weeks so that new board members can fully understand their roles. 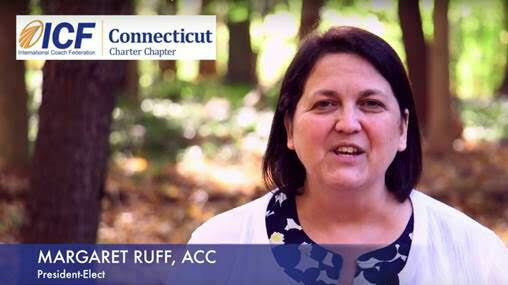 If you’re interested in sharing your talent, developing yourself as a coach, and expanding your network – or if you want to nominate someone else for a board position – please send an email to me, Dina Markind, Chair of the Nominations and Elections Committee at secretary@icf-ct.org. In your email, include the person’s name, the position you believe they’re best suited for, and the reason for nominating him or her. We eagerly look forward to your participation!